Neurotoxins may be synthetic or endogenous compounds derived from species as diverse as bacteria, fungi, spiders, marine life, and man. Seven botulinum neurotoxin (BoNT) serotypes (A, B, C, D, E, F, and G), which are produced by Clostridium botulinum and other Clostridium species, inhibit neurotransmitter release from nerve terminals. These serotypes of BoNT are antigenically dissimilar, utilize distinct but related mechanisms of action, and are not interchangeable. Only BoNT serotypes A and B are approved by the Food and Drug Administration for treatment of neurological disorders and for cosmetic indications. Neuroexocytosis, a multistage process leading to the fusion of synaptic vesicles with the plasma membrane, involves proteins collectively called SNAREs (soluble N-ethylmaleimide–sensitive factor [NSF] attachment protein receptors). Following calcium entry into the nerve terminal, 3 SNAREs form a highly stable SNARE complex which is required for fusion of synaptic vesicles with the inner surface of the plasmalemma. 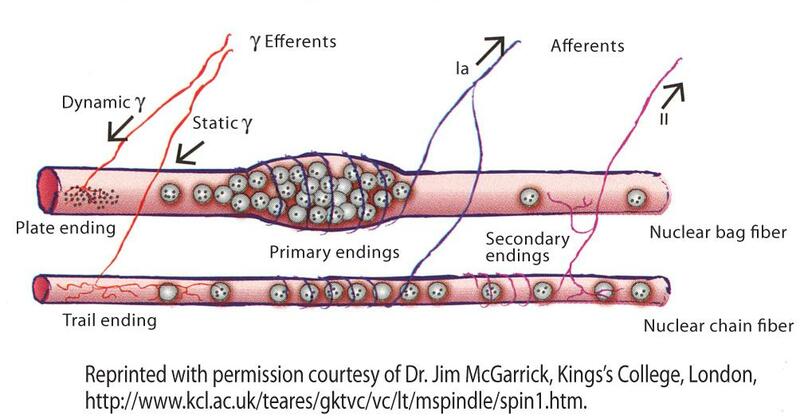 Membrane fusion allows the subsequent release of acetylcholine (ACh) from synaptic vesicles into the neuromuscular synaptic cleft, resulting in an action potential in the muscle that causes it to contract. After BoNT binds to its receptor and is internalized into the nerve terminal, the BoNT proteolytically cleaves its SNARE substrate, thereby blocking neuroexocytosis. Although it is generally assumed that the effects of BoNTs are restricted to the peripheral nervous system, studies suggest that BoNTs, especially at high doses, may affect higher structures in the brain. BoNT may also alter the excitability of central neural circuits, both at spinal and cortical levels, by modulating peripheral sensory inputs. The engineering of BoNTs is a crucial step in the evolution of neurotoxins, both as research tools and for clinical therapy. Modifying the pharmacological properties of neurotoxins through protein engineering may expand and improve the efficacy of future neurotoxin-based therapies. Through the use of recombinant technology, combining advantageous therapeutic features of each serotype has led to the development of a chimeric recombinant toxin that effectively blocks the release of pain peptides. For example, targeting a chimera of BoNT-E and BoNT-A to nociceptive neurons is a potential new therapy for pain. The effects of BoNT occur 2 to 5 days after injection and can last 3 months or longer, but they wear off gradually as a result of pharmacokinetic and intracellular events. To achieve the best possible outcome, treatment with BoNT should be tailored to the individual needs of the patient. Understanding the mechanism of action of BoNT-A has led to the worldwide treatment of more than 100 human conditions due to hyperactivity of nerves supplying various muscles or glands. August 2010 through August 2012. Original Release Date: August 2010. Allergan, Inc. Consultant and/or Advisory Committee Member: Allergan, Inc.
Neurotoxins may be synthetic or endogenous compounds derived from species as diverse as bacteria, fungi, spiders, marine life, and man. Seven botulinum neurotoxin (BoNT) serotypes (A, B, C, D, E, F, and G), which are produced by Clostridium botulinum Clostridium species, inhibit neurotransmitter release from nerve terminals. These serotypes of BoNT are antigenically dissimilar, utilizedistinct but related mechanisms of action, and are not interchangeable. Only BoNT serotypes A and B are approved by the Food and Drug Administration for treatment of neurological disorders and for cosmetic indications. Only BoNT serotypes A and B have been approved by the Food and Drug Administration (FDA) for clinical use. Four formulations of BoNT are FDA approved (see Table 1): onabotulinumtoxinA (Botox®), abobotulinumtoxinA (Dysport™), incobotulinumtoxinA (Xeomin®), and rimabotulinumtoxinB (Myobloc®). In addition to the indications listed in Table 1, BoNT has been found to be useful in the clinical management of urological, musculoskeletal, dermatological, and secretory disorders, as well as pain and chronic migraine. Research into these and other areas is ongoing. Botox prescribing information, Allergan, Inc.
Botox Cosmetic prescribing information, Allergan, Inc.
Xeomin prescribing information, Merz Pharmaceuticals, LLC. Myobloc prescribing information, Solstice Neurosciences, Inc. Figure 1. Muscle spindle organ. Figure 2A. Crystal structure of BoNT-A. The x-ray structure of the full-length BoNT-A neurotoxin was determined at 3.3 A resolution by Stevens’ group at the University of California. From Lacy et al.10 Permission pending. Crystal structure of the BoNT-A binding domain in complex with the polysaccharide moiety of the ganglioside GT1b. Ribbon representation of the BoNT-A binding domain in rainbow color representation, from the N-terminus (blue) to the C-terminus (red). The GT1b polysaccharide is shown as yellow sticks. From Stenmark et al.11 Permission pending. An action potential depolarizes the motoneuron terminal to stimulate release, via exocytosis, of ACh from the lumen of synaptic vesicles into the neuromuscular synaptic cleft. When ACh reaches the postsynaptic muscle membrane, its binding to nicotinic cholinergic receptors opens a transmembrane channel, resulting in an influx of sodium ions (Na+) into the muscle fiber, followed by an efflux of potassium (K+); this initial reduction in the membrane potential of the muscle fiber generates an endplate potential which, at a threshold, creates an action potential in the muscle that causes it to contract. Nicotinic receptors are found in a variety of tissues, including the autonomic nervous system, neuromuscular junctions, and the brain of vertebrates. Nicotinic responses are excitatory, of fast onset and short duration. Figure 3. BoNT and neurotransmitter release at the neuromuscular junction. p (A) Neuroexocytosis of ACh involves proteins collectively called SNAREs. The 3 main SNAREs implicated in neuroexocytosis are synaptobrevin II (also known as vesicle-associated membrane protein), syntaxin 1A/B, and SNAP-25. Following Ca2+ entry at the nerve terminal via depolarization-activated Ca2+ channels, these 3 SNARE proteins form a highly stable SNARE complex, which is required for membrane fusion of synaptic vesicles with the plasma membrane. This fusion allows the subsequent release of ACh from the synaptic vesicles. (B) BoNT enters the neuron by binding cell surface receptors. When BoNT is injected into a target tissue, the heavy chain of the BoNT binds selectively to membrane receptors on the outer surface of the cell and is internalized into the nerve terminal via synaptic vesicle endocytosis. The Zn2+-dependent endoprotease activity of the BoNT-A light chain cleaves SNAP-25 and prevents the formation of an active SNARE complex, thereby, blocking ACh exocytosis and nerve-induced muscle contraction. From Arnon et al.12Adapted with permission from JAMA, February 2008, 2001 - Vol 285, No. 8; p 1061. Copyright © 2001, American Medical Association. All rights reserved. VAMP/synaptobrevin, SNAP-25, and syntaxin. BoNT serotypes B, D, F, and G cleave specifically at distinct, but different, peptide bonds of VAMP/synaptobrevin. On the other hand, BoNT types A, C, and E cleave SNAP-25 at different bonds in its carboxyl-terminus region, and BoNT type C in addition cleaves syntaxin.SNAP-25 = synaptosomal-associated protein 25; VAMP = vesicle-associated membrane protein. The ternary parallel coiled-coil structure formed by synaptobrevin, SNAP-25, and syntaxin determined by x-ray crystallography. The relative positions of bonds cleaved by BoNTs are indicated, though formation of the complex protects SNAREs against proteolysis. Synaptobrevin SNARE motif is in blue and syntaxin is green. The two SNARE motifs of SNAP-25 are represented in red and green, and are connected by an unstructured segment not present in the original crystallographic structure. From Sutton et al.18 Permission pending. BoNT produces different effects on the muscle spindle organs. Injection of BoNT into a muscle reduces a-motoneuron activity on the extrafusal muscle fibers.23 Muscle spindles are simultaneously inhibited by the toxin’s blockade of the ?-motoneuron control of intrafusal fibers and by its subsequent reduction of Ia afferent signaling, thereby reducing feedback to the a motoneurons and other pathways to reduce muscle contraction.23,24 Injection of onabotulinumtoxinA induced atrophy in both extrafusal and intrafusal muscle fibers in the biceps femoris of Wistar rats.25 Muscle action potentials elicited by stimulation were abolished in both extrafusal and intrafusal fibers, and spindle afferent discharges were progressively reduced. Injections of onabotulinumtoxinA demonstrated that ? motoneuron terminals of isolated rat masseter muscles could be blocked, thereby reducing the Ia and II afferent signal from the muscle spindle organs and the muscle tone by reflex inhibition without affecting muscle strength.26 The effect of BoNT may, therefore, be caused by both target muscle paresis and spinal reflex inhibition. Although peripherally injected BoNT appears to have no direct CNS activity, its effects on the neuromuscular junction and muscle spindle organs may affect the CNS indirectly. Current evidence suggests BoNT can alter the excitability of central neural circuits, both at spinal and cortical levels, by modulating peripheral sensory inputs. Based on studies in humans, it appears that onabotulinumtoxinA alters sensory inputs to the CNS through reversible chemodenervation of extrafusal and intrafusal fibers.27 The vibration-induced facilitation of motor-evoked potentials recorded in the sternocleidomastoid muscle in 20 healthy subjects and in 10 patients with idiopathic rotational torticollis treated with abobotulinumtoxinA or onabotulinumtoxinA suggests that BoNT denervates both extrafusal and intrafusal fibers. Furthermore, this result points to a reduced primary muscle spindle input after BoNT injection that is connected to the clinical efficacy of the treatment of spasmodic torticollis. In preclinical studies, BoNT therapy also leads to altered afferent input to the CNS as a result of the effect on muscle spindles. The release of substance P, a neuropeptide involved in vasodilation, neurogenic inflammation, and the genesis of pain, also requires the formation of a SNARE complex that is inhibited by BoNT-A.23 The neurotoxin-induced suppression of substance P observed in the neurons of embryonic rat dorsal root ganglia was most potently associated with onabotulinumtoxinA, with an inhibitory concentration that is substantially lower than the other serotypes (inhibitory concentrations [IC50] by serotype: type A, 0.05 nM; type B, ~60 nM; type C, 0.3 nM; type F, 30 nM).28 Association of this inhibition with a decrease of SNAP-25 suggests a direct effect. When BoNT is injected into a target tissue, it is almost completely bound to the axon terminal. However, when BoNT-B is applied to treat cervical dystonia, small fractions of the applied BoNT are distributed systemically and substantial systemic anticholinergic side effects can be clinically detected.33 Autonomic side effects occur more often after injections with rimabotulinumtoxinB than with onabotulinumtoxinA. Mouth dryness, accommodation difficulties, conjunctival irritation, reduced sweating, swallowing difficulties, heartburn, constipation, bladder voiding difficulties, head instability, dryness of nasal mucosa, and thrush are among the common side effects. Despite some systemic distribution, direct effects of BoNT on the CNS, when injected into patients, have not been reported, particularly due to its size (150 kDa cannot penetrate the blood-brain barrier in humans). There is clinical evidence that BoNT-A can transiently affect the excitability of cortical areas.34 Corticomotor representation was shown to be altered in patients with dystonia, and BoNT-A treatment in the dystonic limb re-established normal cortical maps.37 In subjects with upper limb dystonia, intracortical inhibition was also found to be defective, and the clinical benefit of BoNT-A correlated with a return of cortical inhibition to the levels seen in normal subjects.38, These cortical changes were completely reversible and disappeared at the completion of BoNT-A effects. To achieve the best possible outcome, treatment with BoNT should be tailored to the individual needs of the patient. However, questions remain about the long-term use of BoNT and the potential for development of resistance, with repeated treatments occasionally leading to a progressive decline in therapeutic response. It has been shown that this decline may be caused by the development of neutralizing antibodies against BoNT that block its biological activity.39 These neutralizing antibodies are serotype specific, as opposed to antibodies cross-reactive against a number of antigens. Formation of antibodies after repeated treatments can reduce the duration of action and extent of maximal therapeutic effect of subsequent BoNT applications.40 Duration of action varies between patients suffering from the same condition and between those suffering from different conditions. In the same patient with identical treatment parameters, the duration of action is typically consistent. The functionally relevant antigenicity of a BoNT preparation depends upon the amount of BoNT presented to the immune system, which is, in turn, determined by the specific biological activity and the relationship between the biological activity and the amount of total BoNT contained in the preparation.41 It is important to emphasize that essentially all the studies published on the presence of antibodies have been based on the use of the original onabotulinumtoxinA formulation. The current formulation has a much lower protein load and is, therefore, associated with a greatly reduced incidence of antibody production.42,43 Long-term immunogenicity of BoNT-B in patients with cervical dystonia has also been described.44,45 Results of recent long-term studies suggest that even though resistance to onabotulinumtoxinA is a clinical possibility, it is not a significant concern in light of the appropriate and safe use of the currently available formulations.46 It is important to note that a lack of response to a particular injection does not necessarily indicate that the patient has developed blocking antibodies. In fact, a patient may respond at a subsequent visit to exactly the same dose injected into the same muscles. Because of a certain amount of overlap between epitope regions of neutralizing antibodies to onabotulinumtoxinA or abobotulinumtoxinA and rimabotulinumtoxinB, it is not advisable to switch serotypes in clinical practice or perform simultaneous injection with both serotypes. Use of the smallest effective dose of BoNT at intervals of no less than 3 months appears to reduce the incidence of antibody formation. A pivotal study by Wang et al provided proof of principle for tailoring the pharmacological properties of BoNTs by protein engineering.47 Exchanging the C-terminal heavy chain portions of BoNT-A and BoNT-E produced 2 single-chain chimeras: chimera EA and chimera AE. This study indentified distinct domains from BoNT-A and BoNT-E that are responsible for binding and entry into neurons, cleavage of SNAP-25, and blockade of neurotransmission.47 Moreover, the mechanism underlying the rapid action of BoNT-E was revealed by using BoNT-A and –E chimeras. An important example of how BoNT engineering technology can lead to new and more effective neurotoxin-based therapies is the distinct effects of BoNT-A and BoNT-E on sensory neurons and the implications for the treatment of chronic pain syndromes. BoNT-A and BoNT-E, when used alone, are ineffective in blocking the release of pain mediators elicited by capsaicin from sensory neurons.8,20 However, through the use of recombinant technology, combining advantageous therapeutic features of each serotype has led to the development of a chimeric recombinant toxin that effectively blocks the release of pain peptides, such as the proinflammatory calcitonin gene-related peptide (CGRP) (Figure 5).8,20 Capsaicin activates the transient receptor potential vanilloid receptor type 1 (TRPV1) and evokes the release of CGRP. This process is dependent on specific amino acid residues of SNAP-25.20 BoNT-A binds to its receptor and is internalized and translocated to the cytosol, where it cleaves 9 residues from SNAP-25.8 However, BoNT-A does not effectively block capsaicin-induced release of CGRP from sensory neurons,8,20 because the 9 residues that BoNT-A cleaves from SNAP-25 are not required for CGRP release triggered by the unique second messenger signaling elicited by capsaicin.20 In contrast, BoNT-E protease cleaves off 26 residues from SNAP-25 that are required for capsaicin-induced CGRP release. However, BoNT-E is not effectively internalized by sensory neurons due to the limited number of BoNT-E receptors on the surface of these cells and, therefore, cannot block capsaicin-induced CGRP release. A study by Meng et al20,51 showed that a recombinant chimera of BoNT-A and BoNT-E (-EA) attenuated TRPV1-mediated CGRP release. CA2+ -EA chimera contained the BoNT-A binding domain and the BoNT-E protease domain, and was effectively internalized by sensory neurons and inhibited CGRP release in vitro and in situ. Thus, targeting -EA chimera to nociceptive neurons is a potential new therapy for pain. Dr. Dolly discusses the antinociceptive properties of neurotoxins. Dr. Dolly describes ongoing research with neurotoxins from non-botulinum sources. 1. Jankovic J, et al. Botulinum Toxin: Therapeutic Clinical Practice and Science. Philadelphia, PA: Saunders; 2009. 3. Firestein GS, Budd RC, Harris ED Jr, et al, eds: Kelley's Textbook of Rheumatology. 8th ed. Philadelphia, PA: Elsevier; 2008. 4. King’s College Web site. http:www.kcl.ac.uk/teares/gktvc/vc/lt/msprindle/spin.1.htm. 5. Burke RE, Strick PL, Kanda K, Kim C, Walmsley B. Anatomy of medial gatrocnemius and soleus motor nuclei in cat spinal cord. J Neurophysiol. 1977;40:667-680. 6. Eccles JC, Eccles RA, Lundberg A. The convergence of monosynaptic excitatory afferents on to many different species of alpha motoneurones. J Physiol. 7. Eccles JC, Eccles RM, Iggo A, Lundberg A. Electrophysiological studies in gamma motoneurones. Acta Physiol Scand. 1960;50:32-40. 8. Dolly JO, Lawrence GW, Meng J, Wang J, Ovsepian SV. 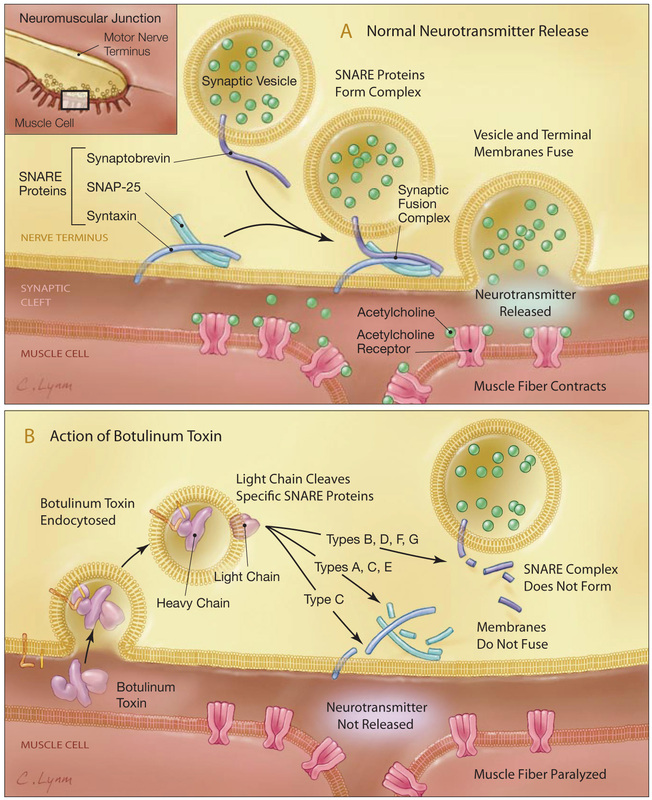 Neuro-exocytosis: botulinum toxins as inhibitory probes and versatile therapeutics. Curr Opin Pharmacol. 2009;9:326-335. 9.Montal M. Botulinum neurotoxin: a marvel of protein design. Annu Rev Biochem. 2010;79:10.1-10.27. 10. Lacy DB, Tepp W, Cohen AC, DasGupta BR, Stevens RC. Crystal structure of botulinum neurotoxin type A and implications for toxicity. Nat Struct Biol. 1998;5(10):898-902. 11.a Stenmark P, Dupuy J, Imamura A, Kiso M, Stevens RC. Crystal structure of botulinum neurotoxin type A in complex with the cell surface co-receptor GT1b-insight into the toxin-neuron interaction. PLoS Pathog. 2008;4(8):e1000129. 12. Arnon SS, Schechter R, Inglesby TV, et al; Working Group on Civilian Biodefense. Botulinum toxin as a biological weapon. Medical and public health management. [Consensus statement] JAMA. 2001;285(8):1059-1070. 13. Aoki KR, Smith LA, Atassi MZ. Mode of action of botulinum neurotoxins: current vaccination strategies and molecular immune recognition. Crit Rev Immunol. 2010;30(2):167-187. 14. Dong M, Yeh F, Tepp WH, Dean C, et al. 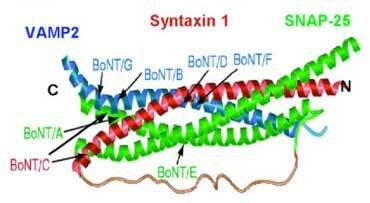 SV2 is the protein receptor for botulinum neurotoxin A. Science. 2006.Apr 312(5773):540-541. 15. Dong M, Richards DA, Goodnough MC, et al. Synaptotagmins I and II mediate entry of botulinum neurotoxin B into cells. J Cell Biol. 2003;162:1293-1303. 16. Stenmark P, Dong M, Dupuy J, Chapman ER, Stevens RC. Crystal structure of the botulinum neurotoxin type G binding domain: insight into cell surface binding. J Mol Biol. 2010;397:1287-1297. 17. Zhang P, Ray R, Singh BR, Li D, Adler M, Ray P. An efficient drug delivery vehicle for botulism countermeasure. BMC Pharmacology. 2009;9:12. 18. Sutton RB, Fasshauer D, Jahn R, Brunger AT. Crystal structure of a SNARE complex involved in synaptic exocytosis at 2.4 A resolution. Nature. 1998;395:347-353. 19. Dolly JO, Black J, Williams RS, Melling J. Acceptors for botulinum neurotoxin reside on motor nerve terminals and mediate its internalization. Nature. 1984;307:457-460. 20. Meng J, Ovsepian SV, Wang J, et al. Activation of TRPV1 mediates calcitonin gene-related peptide release, which excites trigeminal sensory neurons and is attenuated by a retargeted botulinum toxin with anti-nociceptive potential. J Neurosci. 2009;29:4981-4992. 21. Kumaran D, Eswaramoorthy S, Furey W, Navaza J, Sax M, Swaminathan S. Domain organization in Clostridium botulinum neurotoxin type E is unique: its implication in faster translocation. J Mol Biol. 2009;386:233-245. 22.De Paiva A, Meunier FA, Molgo J, Aoki KR, Dolly JO. Functional repair of motor endplates after botulinum neurotoxin type A poisoning. Proc Natl Acad Sci U S A. 1999;96(6):3200-3205. 23. Aoki KR, Guyer B. Botulinum toxin type A and other botulinum toxin serotypes: a comparative review of biochemical and pharmacological actions. Eur J Neurol. 2001;8(Suppl 5):21-29. 24. Aoki KR. 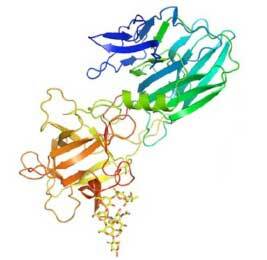 Botulinum toxin: a successful therapeutic protein. Curr Med Chem. 2004;11:3085-3092. 25. Rosales RL, Arimura K, Takenaga S, Osame M. Extrafusal and intrafusal muscle effects in experimental botulinum toxin-A injection. Muscle Nerve. 1996;19:488-496. 26. Filippi GM, Errico P, Santarelli R, Bagolini B, Manni E. Botulinum A toxin effects on rat jaw muscle spindles. Acta Otolaryngol. 1993;113:400-404. 27. Urban PP, Rolke R. Effects of botulinum toxin type A on vibration induced facilitation of motor evoked potentials in spasmodic torticollis. J Neurol Neurosurg Psychiatry. 2004;75:1541-1546. 28. Welch MJ, Purkiss JR, Foster KA. Sensitivity of embryonic rat dorsal root ganglia neurons to Clostridium botulinum neurotoxins. Toxicon. 2000;38:245-258. 29. Antonucci F, Rossi C, Gianfranceschi L, Rossetto O, Caleo M. Long-distance retrograde effects of botulinum neurotoxin A. J Neurosci. 2008;28(14):3689-3696. 30. Allam N, Fonte-Boa PM, Tomaz CA, Brasil-Neto JP. Lack of effect of botulinum toxin on cortical excitability in patients with cranial dystonia. Clin Neuropharmacol. 2005;28:1-5. 31. Bockowski L, Okurowska-Zawada B, Sobaniec W, Kulak W, Sendrowski K. Cortical somatosensory evoked potentials and spasticity assessment after botulinum toxin type A injection in children with cerebral palsy. Adv Med Sci. 2007;52(Suppl 1):171-175. 32. Blood AJ, Tuch DS, Makris N, Makhlouf ML, Sudarsky LR, Sharma N. White matter abnormalities in dystonia normalize after botulinum toxin treatment. Neuroreport. 2006;17:1251-1255. 33. Dressler D, Benecke R. Autonomic side effects of botulinum toxin type B treatment of cervical dystonia and hyperhidrosis. Eur Neurol. 2003;49:34-38. 34. Caleo M, Schiavo G. General effects of tetanus and botulinum neurotoxins. Toxicon. 2009;54:593-599. 35. Moreno-Lopez B, de la Cruz RR, Pastor AM, Delgado-Garcia JM. Effects of botulinum neurotoxin type A on abducens motorneurons in the cat: alterations of the discharge pattern. Neuroscience. 1997;81(2):437-455. 36. Moreno-Lopez B, de la Cruz RR, Pastor AM, Delgado-Garcia JM. Botulinum neurotoxin alters the discharge characteristics of abducens motorneurons in the alert cat. J Neurophysiol. 1994;72(4):2041-2044. 37. Byrnes ML, Thickbroom GW, Wilson SA, Shipman JM, Stell R, Mastaglia FL. The corticomotor representation of upper limb muscles in writer's cramp and changes following botulinum toxin injection. Brain. 1998;121 (Pt 5):977-988. 38. Gilio F, Curra A, Lorenzano C, Modugno N, Manfredi M, Berardelli A. Effects of botulinum toxin A on intracortical inhibition in patients with dystonia. Ann Neurol. 2000;48:20-26. 39. Dolimbek BZ, Steward LE, Aoki KR, Atassi MZ. 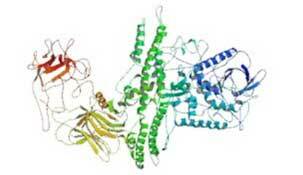 Immune recogntion of botulinum neurotoxin B: antibity-binding regions of the heavy chain of the toxin. Mol Immunol. 2008;45:910-924. 40. Dressler D. Clinical presentation and management of antibody-induced failure of botulinum toxin therapy. Mov Disord. 2004;19(Suppl 8):S92-S100. 41. Dressler D, Hallett M. Immunological aspects of Botox, Dysport and Myobloc/NeuroBloc. Eur J Neurol. 2006;13(Suppl 1):11-15. 42. Jankovic J, Vuong KD, Ashan J. Comparison of efficacy of immunogenicity of original versus current botulinum toxin in cervical dystonia. Neurology. 2003;60:1186-1188. 43. Yablon SA, Brashear A, Gordon MF, et al. Formation of neutralizing antibodies in patients receiving botulinum toxin type A for treatment of poststroke spasticity: a pooled-data analysis of three clinical trials. Clin Ther. 2007;29(4):683-690. 44. Jankovic J, Hunter C, Dolimbek BZ, et al. Clinico-immunologic aspects of botulinum toxin type B treatment of cervical dystonia. Neurology. 2006;67:2233-2235. 45. Atassi MZ, Dolimbeck BZ, Jankovic J, Steward LE, Aoki KR. Molecular recognition of botulinum neurotoxin B heavy chain by human antibodies from cervical dystonia patients that develop immunoresistance to toxin treatment. Mol Immunol. 2008;45:3878-3888. 46. Brin MF, Comella CL, Jankovic J, Lai F, Naumann M. Long-term treatment with botulinum toxin type A in cervical dystonia has low immunogenicity by mouse protection assay. Mov Disord. 2008;23:1353-1360. 47. Wang J, Meng J, Lawrence GW, et al. Novel chimeras of botulinum neurotoxins A and E unveil contributions from the binding, translocation, and protease domains to their functional characteristics. J Biol Chem. 2008;283:16993-17002. 48. Band PA, Blair S, Neubert TA, Cardozo TJ, Ichtchenko K. Recombinant derivatives of botulism neurotoxin A engineered for trafficking studies and neuronal delivery. Protein Expr Purif. 2010;71:62-73. 49.Muraro L, Tosatto S, Motterlini L, Rossetto O, Montecucco C. The N-terminal half of the receptor domain of botulinum neurotoxin A binds to microdomains of the plasma membrane. Biochem Biophys Res Commun. 2009;380:76-80. 50. Chen S, Barbieri JT. Engineering botulinum neurotoxin to extend therapeutic intervention. Proc Natl Acad Sci U S A. 2009;106:9180-9184. 51. Meng J, Wang J, Lawrence G, Dolly JO. Synaptobrevin I mediates exocytosis of CGRP from sensory neurons and inhibition by botulinum toxins reflects their anti-nociceptive potential. J Cell Sci. 2007;120:2864-2874. 52. Lai H, Feng M, Roxas-Duncan V, Dakshanamurthy S, Smith LA, Yang DC. Quinolinol and peptide inhibitors of zinc protease in botulinum neurotoxin A: effects of zinc ion and peptides on inhibition. Arch Biochem Biophys. 2009;491:75-84. 53. Roxas-Duncan V, Enyedy I, Montgomery VA, et al. Identification and biochemical characterization of small-molecule inhibitors of Clostridium botulinum neurotoxin serotype A. Antimicrob Agents Chemother. 2009;53:3478-3486. 54. Webb RP, Smith TJ, Wright P, Brown J, Smith LA. Production of catalytically inactive BoNT/A1 holoprotein and comparison with BoNT/A1 subunit vaccines against toxin subtypes A1, A2, and A3. Vaccine. 2009;27:4490-4497. 55. Smith LA. Botulism and vaccines for its prevention. Vaccine. 2009;27(Suppl 4):D33-D39. 56. Kessler JA. Parasympathetic, sympathetic, and sensory interactions in the iris: nerve growth factor regulates cholinergic ciliary ganglion innervation in vivo. J Neurosci. 1985;5(10):2719-2725. 57. Cattaneo A. Tanezumab, a recombinant humanized mAb against nerve growth factor for the treatment of acute and chronic pain. Curr Opin Mol Ther. 2010;12:94-106. 58.Kostrzewa RM. Evolution of neurotoxins: from research modalities to clinical realities. Curr Protoc Neurosci. 2009;Chapter 1:Unit 1.18. 59. Tonello F, Morante S, Rossetto O, Schiavo G, Montecucco C. Tetanus and botulism neurotoxins: a novel group of zinc-endopeptidases. Adv Exp Med Biol. 1996;389:251-260. 60.Lalli G, Bohnert S. Deinhardt K, Verastegui C, Schiavo G. The journey of tetanus and botulinum neurotoxins in neurons. Trends Microbiol. 2003;11(9):431-437. 61. Noguchi T, Arakawa O. Tetrodotoxin—distribution and accumulation in aquatic organisms, and cases of human intoxication. Mar Drugs. 2008;6:220-242. 62. Chamandi SC, Kallab K, Mattar H, Nader E. Human poisoning after ingestion of puffer fish caught from Mediterranean Sea. Middle East J Anesthesiol. 2009;20:285-288. 63. Luch A. Mechanistic insights on spider neurotoxins. EXS. 2010;100:293-315. 64. Wen L, Yang S, Qiao H, et al. SO-3, a new O-superfamily conopeptide derived from Conus striatus, selectively inhibits N-type calcium currents in cultured hippocampal neurons. Br J Pharmacol. 2005;145:728-739. 65. Berecki G, Motin L, Haythornthwaite A, et al. Analgesic (omega)-conotoxins CVIE and CVIF selectively and voltage-dependently block recombinant and native N-type calcium channels. Mol Pharmacol. 2010;77:139-148.